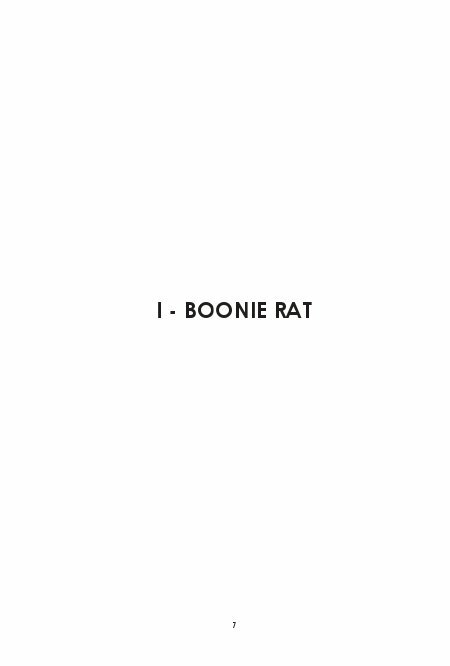 Boonie Rat This fictional story is based on my first tour of duty in Vietnam of eleven months in the jungle with the 101st Airborne Division. 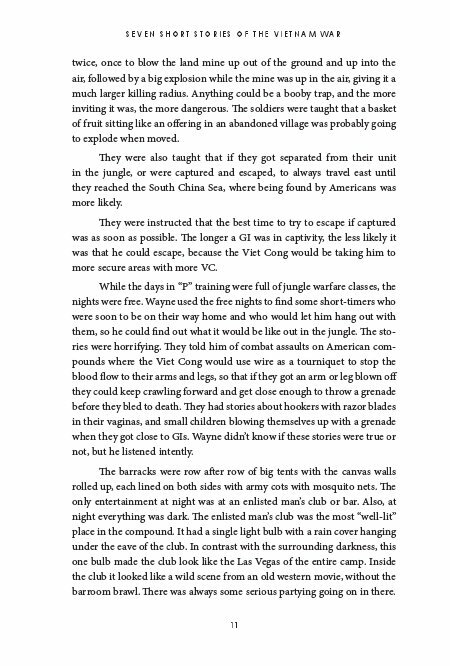 This story gives a pretty good feel of what it was like being in the jungles of Vietnam hunting men. 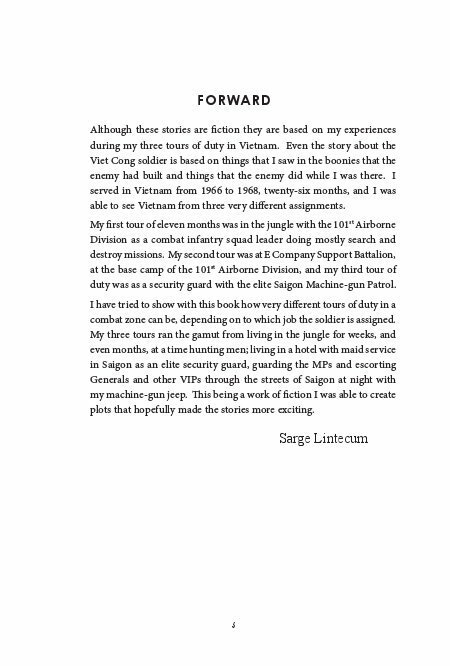 E Company Support Battalion This fictional story is based on my second tour of duty in Vietnam. It takes place at the base camp of the 101st Airborne (Paratroopers) when it was at Phan Rang, Vietnam. I wrote this one from the perspective of what it must have been like to have been assigned the bunk next to an obviously crazy combat veteran. Oh, by the way; Littman (the crazy vet) was me. Saigon Machine Gun Patrol "We were the Kings of Saigon, we couldn't do wrong, we protected the MP's from the Viet Cong." 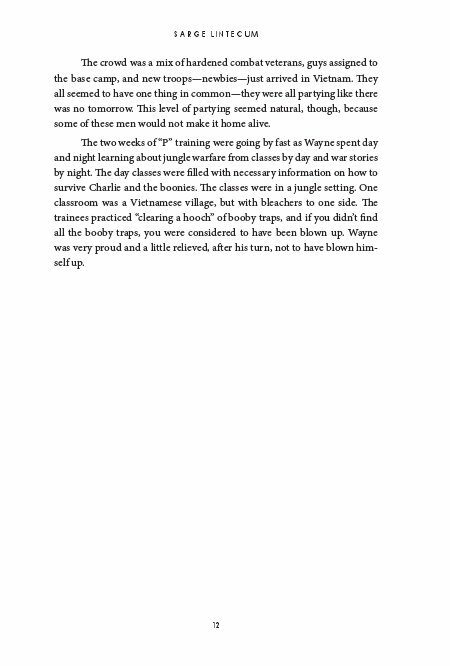 This story tells what it was like on my third tour of duty in an exciting job in Saigon, Vietnam. Now known as Ho Chi Minh City. I was a machine gunner, in charge of a gun jeep patrolling the city at night. The Curse of the Buddhist Monastery While in Vietnam I noticed that almost any Vietnamese would buy American money, at well over it's face value, for the black market. I made a joke in Nam that you could have sold them Monopoly money if it was printed on both sides. This murder mystery is based on that premise. The Life of Thanh Trung While I was in the jungles of Vietnam we came across many marvelous engineering feats that the Viet Cong had made or built deep in the jungle. 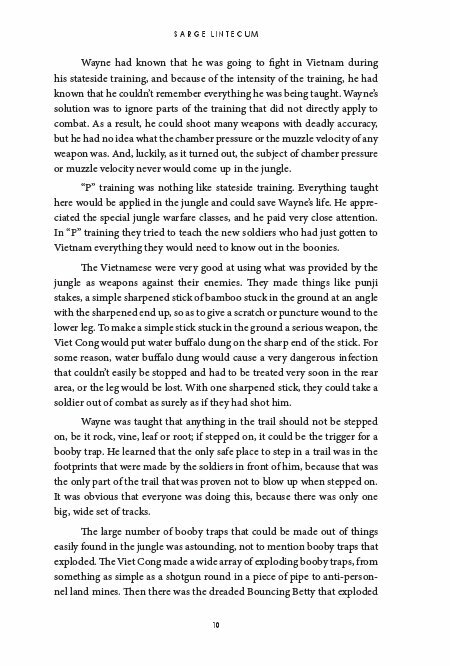 This story is about what the life of a Viet Cong soldier must have been like. I Lit the Match This story is about the Tiger Force of the 101st Airborne Division. I try to show the transformation from average American teenagers to cold blooded killers that happens when orders to commit atrocities come from high up the chain of command. The Dagger PTSD was not the only demon soldiers brought back, as Master Sergeant Steven Dunlevy discovered when he was followed home by powerful spirits who cursed and tormented him for stealing a sacred dagger. About the Author Teacher, Recording Artist, Blues Man, Veterans Advocate and Author Sarge did three tours of duty in Vietnam, 1966-'67-'68. 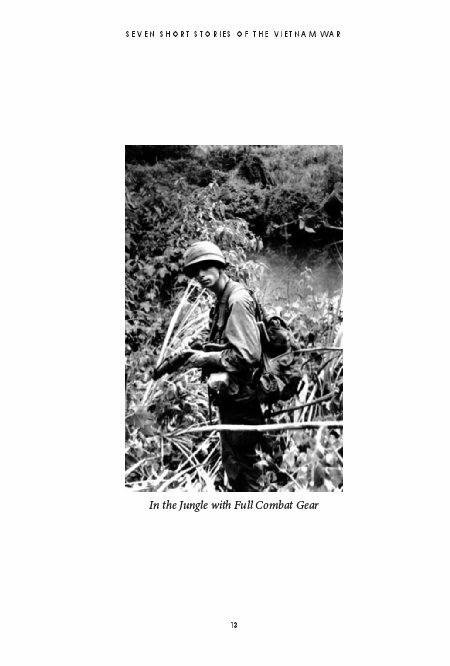 His first tour was eleven months in the jungle with the 101st Airborne Paratroopers as a Combat Infantryman. During that time, he advanced to Squad Leader. 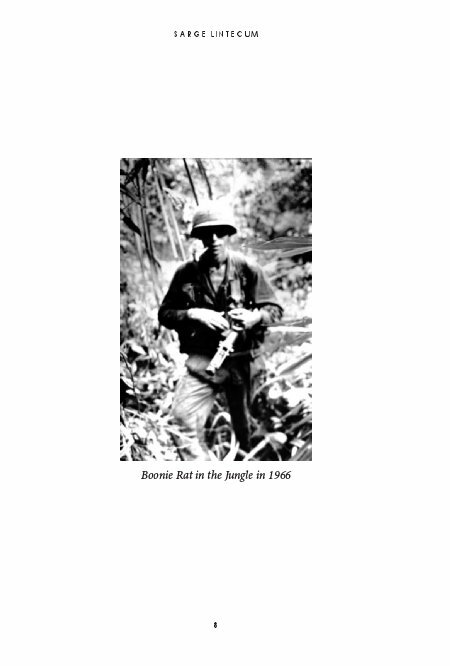 Sarge came down with malaria three times, jungle-rot, immersion-foot, two varieties of internal parasites, a shrapnel wound in his leg, exposure to Agent Orange and Post Traumatic Stress Disorder which Sarge says is the "Vietnam Blues". Sarge received the Purple Heart, the Good Conduct medal, a Vietnam Service Medal with 1 Bronze Service Star and 1 Silver Service Star (to represent three tours of duty), Parachute Jump Wings, the Combat Infantryman Badge, the National Defense Service Medal, the Vietnam Campaign Medal, the Army Commendation Medal, a Valorous Unit Emblem, a Republic of Vietnam Gallantry Cross with Palm Unit Citation Badge and five Over-Seas Bars.